I am 41 yrs old. I have learned many things in my years and made many mistakes. But the one thing that I realized is that we all have things we love. Movies, music, food, books. For many years there were some things, the guilty pleasures, that you kind of hide that you like them. “Closet Fans” is what I like to use. But in the past year I have realized that I am 41 yrs old. I am a full fledge adult. Life is short so just enjoy what you enjoy. Stop being ashamed. WWE. Oh man, don’t get me started. To be 41 and a wrestling fan is the ultimate ridicule. “You know it’s fake right?” “You know it’s not real?” Yes, I do. I am fully aware of everything that is sports entertainment. Why should I be embarrassed by this? I love wrestling. Its action, its drama, its cheesy but I don’t care. Wrestling fans have a bond like no other. You see someone in public wearing a wrestling shirt and you are instant friends. 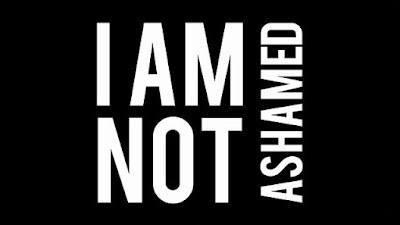 So I am not ashamed. Survivor. Seriously one of the best shows on television. My wife and I LOVE Survivor. I have seen every episode of every season. What we get all the time with our love for Survivor is “Is that still on?” You bet it is. 17 years and it is still as good as ever. So why should I be ashamed to like Survivor? I have no clue but people will mock you and make fun of you for it. But who cares? I am an adult and I can like Survivor. Disaster Movies. HAHA. I am not joking. Twister. Day After Tomorrow. 2012. San Andreas. I love em. Can’t explain it. Even the ones that super cheesy (here is looking at Geostorm) I still get into them. There is just something about people getting in the middle of a disaster and fighting to survive. There are other thing too. Young Adult novels, Cheesy Pop Music. Why should adults be ashamed of the things we like? How does apply to your writing....simple. Write what you like. Don’t feel you have to write what is popular or what you think will sell. Write and don’t be ashamed. Like with picture books, Non Fiction is big, does that mean I should switch everything that I am doing and with non-fiction? I hope not. I’m terrible at non-fiction. As a full fledge adult like what you want. Don’t let anyone mock your passion or you past times. Body slam them if they do. This thought has been going over and over and over and over in my mind in the last week. What does it truly mean to me? Does it mean I should write stuff that I would want to read? Does it mean that anything that I have written so far I should just trash if it isn’t something that I would read? Lots of thoughts. To me it means this: If I think of a book that I would love to read but can’t really find anything out there that is like it then I SHOULD WRITE IT. That really helps me when it comes to writing YA fiction. But since I am primarily a picture book author what does that mean? I keep a running list of story ideas. Whenever I think of an idea for a picture book or a young adult novel I will make sure to put the idea in my trusting IPhone Notes. There are many, many different ideas. So back to the quote above: Write the book you want to read. I feel a wise thing to do is to occasionally go back through the list and ponder on the ideas. Would I read that? If the answer is yes then it stays, if not then NO. Goodbye. As for the picture book drafts that I have already written that have been “in the drawer” I am going to go back and put them through the “filter” and see which ones may jump back at me. I have struggled a ton with writing my stories in my style with my humor but also following the “rules” of picture book writing. It is hard for me to do. It has gotten easier. So if you are out there and have a great idea for a novel or children’s book and you can’t find that book anywhere then I think that is the literary universe telling you that you need to write it. SO GO FOR IT. This is also heavy on my mind since National Novel Writing Month or NaNoWriMo is coming up. SOON. I had planned on not participating in this year even though I had a blast doing it last year. But now that may be up in the air as “Write the book you want to read” is consuming my mind. I do have an idea of a YA novel that I would love but I can’t find a good representation of it out there. So is that the literary universe trying to speak to me?? If it is then I have about 10 days to figure it out. After spending the last two years trying to be a “real writer” I have finally come to grips that I will never be “that writer”. The writer we all hear about. In fact this writer may not exist. It may be an urban legend, a writer that some writer created and now has become legend. Let’s examine this legend. I will call him Uber Writer. Or UW for short. Remember. I have given up my dream of becoming an UW. 1. UW writes everyday at the same time in the same place. No matter what. Really? Who has time for this? I own a small business, have two other part time jobs AND a 3 yr old. Who has time to sit down every day at the same time in the same place to write??? Not me. 2. UW can write 10,000 or more words each day. Not me. I don’t have the attention span. I have been on this blog for 10 minutes and have already thought of 478 other things I need to do. 10K words in a day?? Wow. This person is really an Uber Writer. 3. UW never misses a planned day of writing. I can’t fathom this one. It makes no sense to me. Never? NEVER? UW never misses a day of writing. I missed yesterday. LOL. My mom was in surgery, my daughter had a field trip, I was directing a play last night. There was just no time. I felt bad sure, but it is just life. I may never be an UW but I am trying to be the best I can be. Isn’t that all we can do? I tell you what......If you ever decided to do National Novel Writing Month, and you actually reach your 50,000 word goal then keep going until you finish the entire novel. That is what my mistake was, and now I am haunted. NaNoWriMo is awesome. 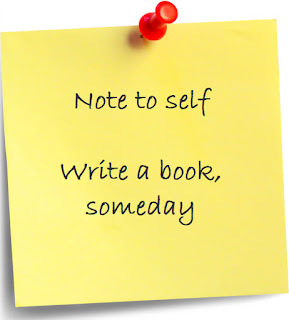 I think it's a great thing, and so many participate in trying to write a book in a month. The goal I set last year was 50,000 words, and I did it. I totally nailed it. From November 1 to November 25th, I wrote everyday. I wrote anywhere and any time I could. I wrote at the schools where I subbed. I wrote in the morning. I wrote at the doctor's office. I even wrote in the car on a 10 hour road trip. I reached my goal, but now I am haunted. The haunting is because we are 11 months after NaNoWriMo 2016, and I have yet to finish this YA novel. Once I hit the 50,000 word goal I declared victory and “took a break”. BIG MISTAKE. HUGE! Please do not do this. No now this novel haunts me. It is the unfinished masterpiece. But its ok. It really is........at least that is what I tell myself. I love that story, and it applies so much to my YA novel. 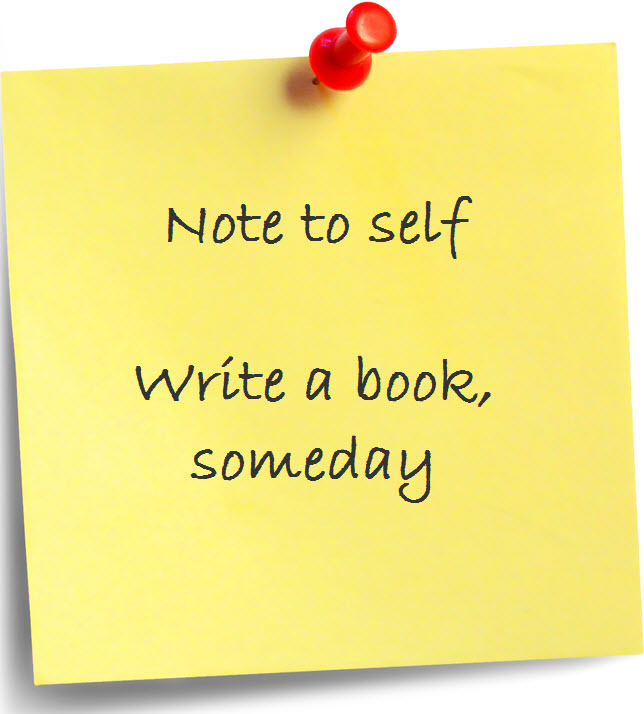 If I take time everyday or a few days a week and I just write, even if for a little bit, I will make it. I will finish it. Bird by bird. Ok so recap what we have learned today. 1. NaNoWriMo is awesome and everyone should give it a shot. 2. If you reach your NaNoWriMo word goal then DONT STOP! 4. Even if you are haunted keep at it and finish that book Bird by Bird. So I had become bitter and jaded. This past weekend I went a writing conference. It was the annual gathering for the North Texas regional chapter of SCBWI. I did not want to go. I was bitter and jaded. Last year when I attended the conference I was about 5 months into my attempt to become a "real writer." I had been working hard a batch of picture books and came to the conference ( a 6 hour drive) wide eyed and gungho. I was like the kid with a new pet, all excited to pet it and love it. I was complimented on my stories by other authors and even the big time agents that were there. I left thinking the world was mine. I would have a book deal and agent in no time. Go me! I became bitter and jaded. 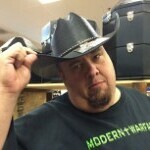 As evidence by this blog I just stopped. Part of that was due to real life stuff such as jobs and family but really it was because I just stopped. I got in a rut. I stopped writing. I stopped critiquing for others. I stopped sending out query letters because I wasn't scooped up right away. Geez, I sound so cliche'. So fast forward to three weeks when I messaged the head of the North Texas chapter and told her I quit. LOL. She responded that 1. I shouldn't quit because my writing was good and 2. I should come to the conference. I am first to say that this response started a chain of events that lead me to this blog. She could have blown me off, she could have just said...well anything....or nothing. But she chose to encourage and sometimes encouragement goes a long way. Thank you Jackie. You rock. So every excuse I found to not go was taken care of. Money? I won an auction that allowed me to attend at a cheaper rate. Hotel? We had good friends who we could stay with. Food? I took a lunch. Gas? Well we still had to pay for gas but with all the money we saved from the other stuff it was taken care of. So I went. Bitter and jaded. Whats the point? I came last year and nothing happened. I didn't want to get all excited again just to have another year of nothing. Even as I being dropped off by my lovely, supportive, amazing, sacrificial wife I told her "I don't want to do this." She just laughed and kicked me out. I decided that going in I was going to be honest about the past year. I believe in honesty and there is no reason to sugar coat anything. I saw Jackie as soon as I walked in and she was crazy busy but took the time hug and greet me. I was honest. I had little hopes for my writing. I felt like a 5th year senior who didn't graduate and came back for another year. I got my stuff, registered, went and sat. In the back. At an empty table. By myself. I declared the table the land of bitter and jaded and none shall sit there! But people did sit there. Awesome people. The first to come and join me was a lady who recognized me as someone who I had swap stories with. She was awesome and had a cool last name....UPCHURCH! Little did I know that my first bit of encouragement was about to happen. "I really loved that story you did about the rats" she tells me. I was floored. Because that was the story I was going to pitch later to a publisher. I has struggled all week on which story to pitch and that was so encouraging that she liked that story and remembered it even though she read it months ago. Score one for me! Then this small, energetic, spitfire of a lady joined us. Her name was Amy or Dr. Amy! She instantly recognized me from facebook and the fact that we had swapped stories. She too was very awesome, very nice and a joy to sit by all day. Her book is coming out soon and everyone should buy it! My plan to surround myself with no one or with just fellow bitter and jaded people was failing fast. The table completed itself with the rest of Upchurch's critique group who were all so nice. AND! There was another guy at the table! I think there were only about 10 men in attendance which is great when it is time for a bathroom break. Sergi is the coolest. He was so engrossed in his young adult novel that it was encouraging to me. Oh yeah. I started a YA novel that I hadnt finished. Sergi has an awesome idea/world for his novel and I can't wait to read it. Yeah! Go men! Now for the kick in the pants that I needed. The first keynote speaker was author Kayla Olson. Kayla has a book out called "The Sandcastle Empire". I had already heard of it and in fact it had been in my Amazon cart for months. I had tweeted Kayla to let her know that I was going to be at the conference and was finally determined to get her book (I actually got the last copy there, thank you Claudette). Kayla's talk was outstanding. I mean amazing. There was a lot that she talked about but I will focus on the part that hit me.....right in the bitter and jades. "If you are unhappy writing it is probably because you have stopped writing." How can something so simple be a solution? But she is right or "write". If you are a creative person and love creating then you need to be consistently creating. Before I knew it I started to feel that stirring in my belly, that fire in there that I think all creative people have when they start to feel something coming. The rest of the day was awesome. All the talks were so helpful and I got to meet some really cool people. Even a lady who loves Donkeys! But I kept coming back to that one thing Kayla said. That was the key for me. I made a plan for the week because God blesses organization and I need to be focused. I have become less bitter and jaded. So my advice to you? The moral of the blog? 1. Be encouraging to fellow writers. If Jackie hadn't responded to me in the manner that she did then I probably would just have stayed bitter and jaded. And stayed home. 2. Go to conferences. Go to workshops. Learn and be around other writers. I am set to go to another conference in October and February. 3. Just write. Even if it's only 5 minutes a day. Stay in the habit. Stay in your story. Stay the course. 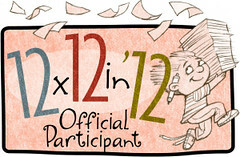 This year, I am part of a wonderful community called 12x12 for Picture Book Writers. The premise is simple: write a new picture book draft each month for 12 months. I am entering my third month, and I have found it to be a wonderful group of writers. One thing that I learned the past month, in February, is that it is hard for me to "force" a story out. Let me explain. All of my previous picture book manuscripts that are good, I mean good enough to eventually be queried to agents, have all come from 'inspiration" for lack of better word. These are the stories that seem to come from somewhere special that jump out of me. I feel like I have to write it, or I go crazy think about it. I have a whole analogy about a stomach flu, but I will spare you of it. So in January, I had one of those story ideas. It came to me. I felt that excitement, and I wrote it. But in February, I never got that feeling. I waited and waited. I looked through my giant master list of story ideas but nothing "grabbed me". So I thought of an idea that I found funny and gave it my best shot. While the feedback was positive, I know it is lacking that "zing" that makes a story special. So that is the problem. I love 12x12. It is amazing and worth every penny I spent to get involved. But what do I do if I don't feel inspired? My answer was simple. I just write. No matter if the outcome is amazing or just "ok" you always learn from your writing.